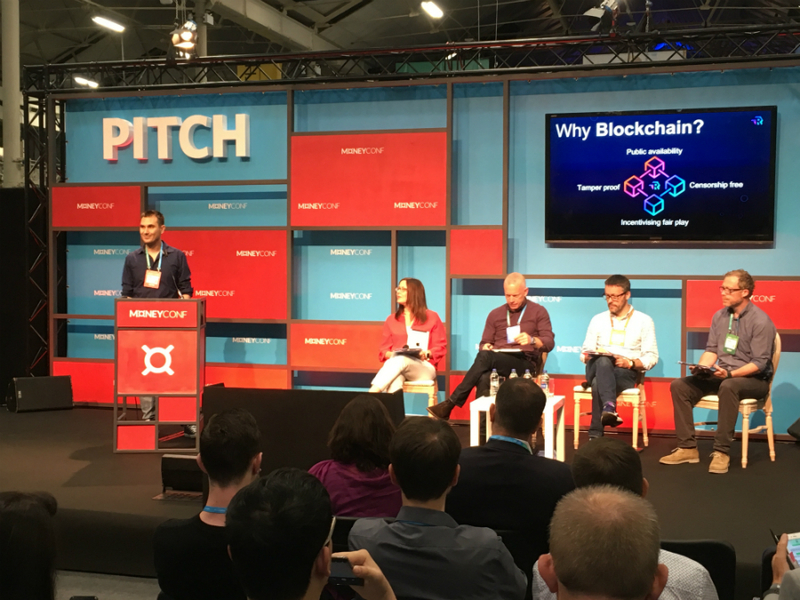 How MoneyConf brought the commonality out in Fintech, Cryptocurrency and Blockchain! Blockchain has become a steadfast disrupter that has driven innovation from start ups to corporates in new and very cool ways! It has even reached the technologically dogmatic financial services sector with a style and swagger that would make Barbara Streisand blush! MoneyConf has reportedly captured the hearts and minds of those personally and professionally involved with it. This is why I decided to check out the conference for Irish Tech News. My first impression was ‘Yup, Paddy Cosgrove picked another A-Team for this shindig!’ It was well managed and despite much lower in numbers (c. 5,000 per press briefings) then Web Summit, the locational fit at the RDS in Dublin along with how it was ran did impress! With good first impressions, I attended a press briefing by Joseph Lubin, Co Founder of Ethereum and @ConsenSys who launched in Dublin last April. Joseph outlined some of the objectives of blockchain in terms of its transformative effects on industry and society alike with the disruptive potential of blockchain been “times X” to the disruption caused by the launch of the internet as we know it today! I was impressed by his fair play approach to how Ethereum was designed and is been managed by the company along with the transformative ambition that is driving the team @ConsenSys today! On the sticky issue of Ethereum been a (financial) security, he stated his position on it been a utility token and noted the SEC’s chairman is now saying that Ethereum is not a security. This obviously signals the need for regulatory pace to match the forward pace of the technology Joseph plus others are driving in the Blockchain and Cryptocurrency space. Finally from Joseph on my digressing question relating to the FCC in the United States and their moves to end net neutrality, he thinks a solution lies in near earth technology and plans driven by those with the belief that Internet accessibility should be a human right! Well-said sir!! Well said! Up next in the briefing area was Paddy Cosgrave, CEO of Web Summit who gave an entertaining briefing on a range of topics from Deutsche Bank’s CEO being held up in the non-EU queue at Dublin Airport to Leo Varadkar; An Taoiseach (Prime Minister) of the Republic of Ireland doing better in the job thus giving him little cause to complain! Apparently, his revised assessment is based upon a new law passed since last year outlawing the bribing of politicians! Good to know Paddy… about time too! He then moved onto MoneyConf and outlined his satisfaction with the good attendance numbers V venue fit, which was certainly confirmed by my walk around on the day! He also outlined his satisfaction with Lisbon as a bigger capacity venue than Dublin and its continuing location for Web Summit! Wachsman, a PR and Strategy Consulting firm from New York announced the launch of their new European HQ office in Dublin from 2019 onwards, with the creation of 50 jobs over that year in various disciplines. It was hard not to notice the buzz of discovery and opportunity you would expect with a new technology like this! There were some fascinating professionals sharing their experiences on stage in the CryptoConf area covering blockchain, Cryptocurrency and regulation. They were engaging and went into depth when I was there by debating what should and what should not be regulated in the blockchain space such as the regulation of the wallet, which is seen as overkill when the intrinsic value is in the token. I then met up with a passionate blockchain Entrepreneur called Loughlin Nestor of Block Nubie, who has taken on the challenge with his start up of creating a blockchain network for getting start ups going in their business on his platform. His start up demonstrates the abstractions that can be created with blockchain given his platform securely automates the set up of start ups, guides them on an interactive journey of development in their business ventures and advises them on their success trajectory as they go. He has not gone unnoticed in the finance industry with Eur5 million raised in pre-round pledges but achieved a low conversion rate given many failed the conversion process. He does let me know that he is looking to gain more investment and is interested in partnerships to that end. To end my day, I wondered back to the Media Village and caught the press briefing from Imogen Heap, Founder and MD of Mycelia. Her presentation was very heartfelt about what Mycelia does! She expressed her deep belief in Mycelia’s mission to connect music artists with each other, share knowledge and also intelligence about the industry. The idea is to help music artists make the right decisions at the right time, which apparently is a difficult challenge given the sometime murky waters they must travel. Blockchain allows this to happen in a secure manner via her app, which utilises it as a platform for this dialogue along with been an on-demand platform for industry related and peer information. Fintech and Blockchain are not only sharing the journey together, they will be sharing the stage with many other industries as blockchain disrupts them providing competitive advantage in the digital space. It’s no easy feet to make advancements like this in the face of hacking, industry dogma plus many more obstacles. However, when the passion and vision are there; it’s not hard to see blockchain driving a digital evolution for some time to come!